You can go here for all RIFT patch notes. No trials. No tricks. No traps. We뭭e made all of Telara free while adding exciting new Loyalty rewards and benefits for the most dedicated Ascended. Learn more on our Free to Play page where we cover new free-player and Patron options plus the RIFT Store, Gifting, and REX. 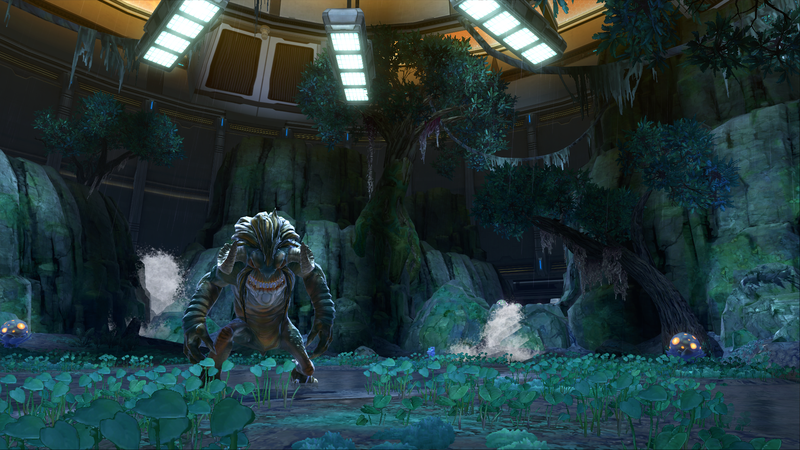 Home to lush jungles and windswept dunes, Dendrome is the heart of Update 2.3. Explore its vast reaches and battle the Architects and Awakened where new threats rise and burrow. Along the way you뭠l find unrivaled artifacts, events, and challenges, meet and drink with old friends in the riotous town of Hailol, and seek the egg of an unhatched dragon god … one whose fate is yours to decide! Energy from the shattered Blood Storm has given rise to terrifying creatures across Dendrome. The greatest of these menaces ?Kaaz뭃a, Senbora the Devourer, and Ahkane the Eternal ?stalk the open world, battling Ascended in dynamically-scaling raid encounters. Defeat each boss in new weekly quests that offer a chance at raid gear plus guaranteed tokens, infinity stones, and more. Ahkane the Eternal must die in the Venific Locus, Kaaz’Ra must die in Hive Kaaz’Gfuu and Senbora the Devourer must die in Greenscale’s Crater, or players will not receive credit for their deaths! Mistress Inyra and her Awakened cult are harvesting the Architects?ancient knowledge in a misguided bid for Ascension. Brave a merciless new Chronicle to stop their schemes before the Architects turn the tables on the Awakened and summon a far greater danger to Telara. What would have happened to Kingsward had Salvarola prevailed? Find out as you lead the charge into a timeline where the Awakened have formed a demonic pact in return for the secret to Ascension. Battle past the infernal strength of a fallen Prince Kaliban and Salvarola himself before facing Ultane, demon lord patron of the Awakened. The war against planar invasions takes to the skies in new player-summoned Strongholds, multi-tiered fortifications manned by a variety of friendly forces. Fight off new threats to Telara while flying between jump pads and platforms. Just remember to bring friends, as the most daunting invasions will lay siege to Strongholds tuned for 10-70+ players! * There are a large number of new Services available for purchase in the RIFT Store! – 3/15/30 Day Patron Pass: Get all the benefits of being a Patron (Subscriber) from the convenience of using the in-game store. Learn more about the benefits of being a Patron in RIFT! – Rune Unsocketing Apparatus: Runes can now be unsocketed from your equipment! Right-clicking this new item from your inventory makes the magic happen. – Planar Essence Removal Device: Like Runes, you can also safely unsocket Planar Essences from your focus. – Transfiguration Bauble: Customize your weapon with the appearance of any other as long as it’s the same weapon-type! Be sure to read the instructions carefully when using. – Brevanic Portal Generator: Allows remote access to a Porticulum for one character. can be bought for your account via the Collectors Upgrade available in the Services category. – Brevanic Portal Battery: this item Allows you to reset the cooldown on your Brevanic Portal Generator. – Trade Skill Extension: Use this item to unlock an additional trade skill slot, up to a maximum of 9. – Character Slot Extension: Allows you to make an additional character per shard on all shards, up to a maximum of 12. – Faction Change Scroll: What it says on the tin!Does not Change your race. – Mass Soul Mend: Restore Soul Vitality to all raid members with this one consumable. * There are other services available for purchase throughout the rest of the game as well! – Role Slots: There are now a maximum of 20, and can be purchased with Credits from your Class Trainer. 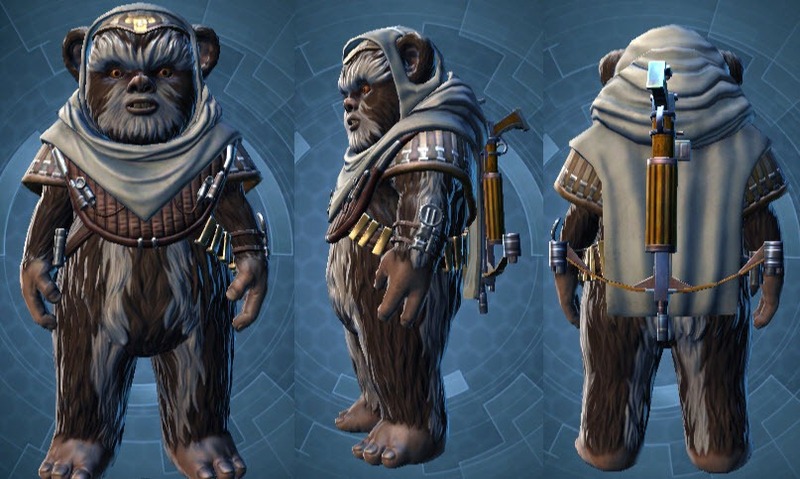 – Wardrobe Slots: There are now a maximum of 19, and they can be purchased with Credits or Coin from your Character window. – Race/Gender Change: Explore the new you for a handful of Credits at the Barbershop. – Bank Vaults: Additional Vaults can now be purchased at the Banker. – Bag Slots: The bag slot bar now supports up to a maximum of 7 bags. Additional bag bar slots are available for purchase by right-clicking on them. * Loyalty Points are gained by consuming REX, buying and spending Credits, and special promotions. There are 5 tiers of Loyalty Rewards to unlock, with a few extra rewards in-between tiers. Claim your Loyalty Rewards on the Home page of the Rift Store! * Players who were previously or are currently subscribed to RIFT will get a one-time allotment of 7,000 Loyalty Points multiplied by the number of months they have paid for. * The old Veteran Rewards have been rolled into the Loyalty system. * The old Guardian and Defiant specific achievements for Veterans Rewards have been replaced by Loyalty versions. * Jarvis and Cadbury are now summoned by a new ability, Summon: Veteran Vendor. When used, Jarvis will spawn for Defiants, and Cadbury will spawn for Guardians. This new ability is acquired at 7,000 Loyalty, which is equivalent to one month’s subscription. * Patron abilities start with 1 Charge. Charges are gained at a rate of 1 per day, with a maximum of 7. Note: if you let your Patron status lapse, all accumulated charges will be lost. 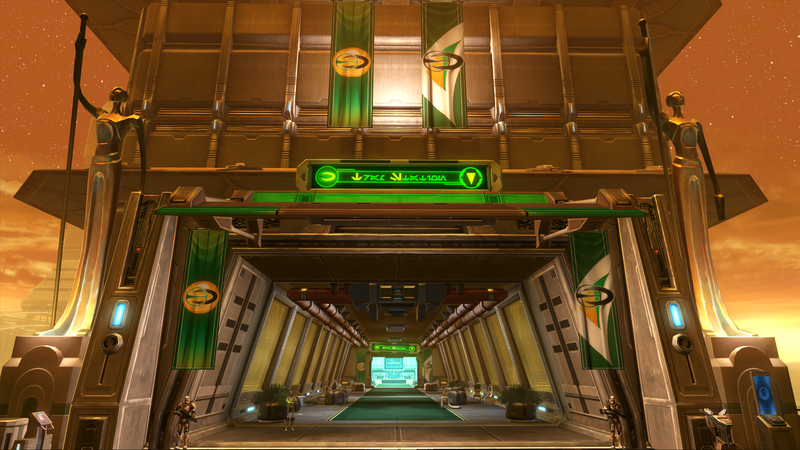 Guards in Meridian, Sanctum, and Tempest Bay can now help lost visitors find their way. Simply speak to one and select a point of interest to put a waypoint on your main map. * Fire up your Omen/Quantum Sight: Twisted artifacts are now available in all Storm Legion zones with a new title for collecting the full rare set in each one! * Play as Guest: New users wanting to try out RIFT can download the patcher and start playing with very little hassle up to 1 experience away from level 10. Chat restrictions do apply to keep spam and abuse at bay. * Daily Quest turn-in limit is now 30, increased from 25. * Storm Legion zones, except for Tempest Bay now require a minimum level of 45 to enter. * Ember Isle now requires a minimum level of 45 to enter, down from 48. 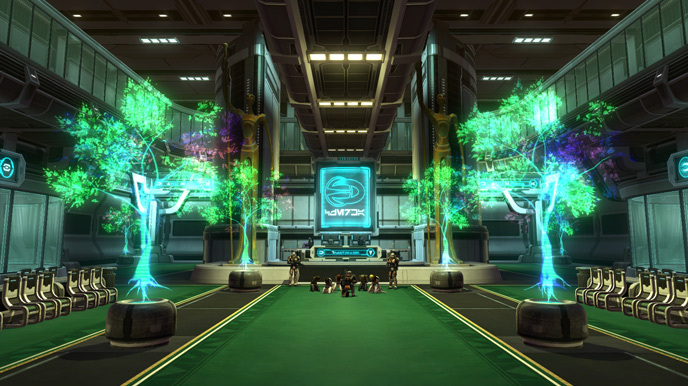 * Factional Quartermasters for the crafting dailies have been moved to Tempest Bay. * New characters on non-Owner accounts will now only have 3 open bag slots on their bag bar. Additional bag bar slots are available for purchase by right-clicking on them. * Most Carnage quests now require fewer kills by 20-25%. If your current progress exceeds the new totals the quest will be autocompleted for you. * Mounts, companion pets, and recipes can now be previewed. * Guild Perk: Cache Finder is now percentage based! * Level ranges for each zone are now visible on the main map so that you can easily decide which zone is best for you. * Porticulum masters in all zones except Meridian & Sanctum can now be used by both factions. The guards in the towns might still hate you though, watch out! * The World Event Merchant will no longer be caught day dreaming when initially clicked on. * Longer broadcast messages from the server are no longer cut off. * Companion pets can no longer be attacked by other players during a duel. * Auto-Follow no longer cancels when alt+tabbing out while in full screen mode. * Players who have an Adventurer’s Backpack in their bank and upgrade to the Collector’s Edition will now automatically upgrade into the Collector’s Satchel. At the First Bank of Telara, it’s all about what we can do for you. * All mobs from levels 1 to 15 no longer have Resist and can no longer Parry or Dodge. * Players from PvP shards wishing to join cross-faction groups on PvE shards can now do so without being kicked out of the group upon their arrival. * Players visiting PvE shards from PvP shards can now properly send party invitations, and are no longer missing any portrait menu options. * Made improvements to the chat system’s spam filter. Sometimes silence is golden! * Experience potions now also benefit experience gains from quests. * Changed text of the Close Ticket button in our customer service window and added a confirmation message box when clicking on it. * Improved performance for players experiencing lag when they have many friends and one goes online or offline. * Fixed a crash that occurred when players had a very large number of active quests. * Fixed a crash that occurred when players were loading. * There is now a cap on how many of a certain currency can be earned in a week: Frozen Eclipse Stone: 4,600, Warlord’s Mark: 8,700. * All Storm Legion Currencies: Item costs and currency gains have both been increased. * As a result, all players have had their currency totals multiplied by a set amount. * Random Expert Dungeons now give both Frozen Eclipse Stone and Empyreal Slayer뭩 Marks. * Reduced Planarite costs for Hunt Rifts and Greater Hunt Rifts. * The Planarite cap has been increased to 200,000. * Increased the number of Infinity Stones given for all Daily Torvan quests. * Added Infinity Stones as an option to the “Hunting Heralds” daily quest. * Increased the cap for Freelancer’s Marks and Warlord’s Marks to 10,000. * Increased the number of Freelancer’s Marks awarded in the Ascended Storm Legion Treasure to 300. * Increased the number of Freelancer’s Marks and Warlord’s Marks granted from daily and weekly quests. * Removed confusing reference to Class Trainers in the tooltip for low level pets. * Toggled abilities are now properly marked in the UI as deactivated when their effects end. * Fixed an issue where the caster’s link to their Beacon would stop functioning if they got more than 35 meters away from their beacon. * Fixed an issue where resummoning a Beacon of Despair could cause the existing Beacon to despawn without spawning a new Beacon. * Ageless Ice: Updated the ability description to clarify that the snare effect applies to the caster. * Updated the ability description of all Archon Auras to include the radius of the aura. * Void Wall: The DoT now falls off when the target dies. * Pets can no longer have both Elemental Armor and Stone Armor at the same time. * Deathly Calling: Fixed an issue with stacks applied by Putrify. Previously these stacks did not include the damage buff granted by the Deathly Collusion talent until the pet applied another stack of Deathly Calling. * Extinguish: Now works when casting on target’s target. * Warlock Armor: The heal portion of this buff no longer triggers when the caster damages themselves. * Serrated Blades: The chance to trigger Serrated Blades has been increased to 50%, up from 40%. * Malicious Poison: Proc chance has been increased to 30%, up from 20%. Damage has been slightly reduced. * Blade Hustle: The buff no longer persists if you switch out of the Bladedancer soul. * Combat Culmination: Your Finishers now cause Physical attacks to ignore 2-6% of your target’s armor per Combo Point, up from 1-3%. * Decoy: Cooldown is now 60 seconds, down from 120 seconds. * Decoy: Ranger abilities that affect pets, like Rejuvenate and Divert Rage, will no longer be activated when Decoy is summoned. * Rending Munitions: Updated the tooltip to indicate that ranged weapon attacks also ignore 25% of the target’s Resist. * Master Archer: Now increases the damage of Marksman attacks by 4-12%, up from 3-9%. * Ignited Weapons: The damage effect is no longer overwritten by other players. * Dark Descent: Now causes the next 3 Finishers to not consume Combo Points, up from 2. * Flame Blitz: Now tagged correctly as an AE attack. As such, its damage will be changed by any AE damage modifiers. * Animalism, Feral Aggression: Cooldown is now 30 seconds, down from 45 seconds. * Shadow Fire: Damage bonus from Shadow Fire has been increased from 3% to 5%. * Rapid Setup: Is no longer affected by the Global Cooldown. * Spike Bomb: Now deals damage per second to enemies in the target area. 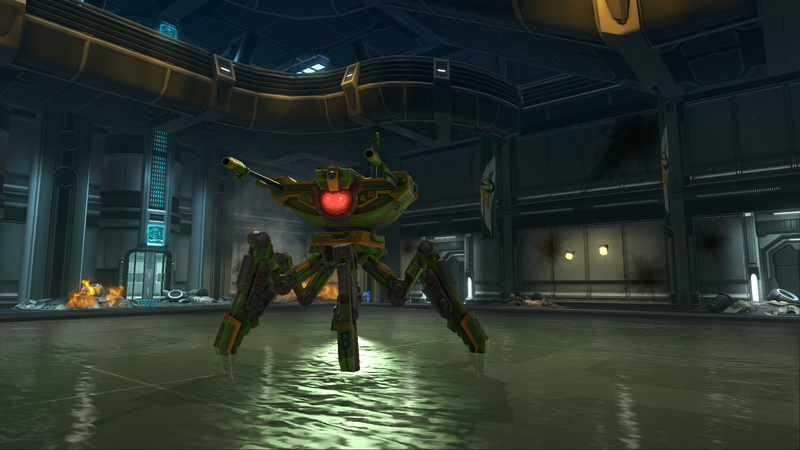 Requires an enemy target and the effect persists at the initial position of the targeted enemy. * Spike Bomb: Now also applies Thistle Spike to affected enemies, increasing damage taken from the Rogue by 1% per stack. Thistle Spike stacks up to 15 times. * Cloud Maker: Damage has been increased. * Dark Thane Preset: Updated the preset description to indicate that Plague Bringer causes the Reaver’s DOT abilities to affect 7 other enemies and not 9 other enemies. * Flesh Rip: The bleed effect now ignores the target’s armor and its damage no longer varies. * Twin Cuts: The bleed effect now ignores the target’s armor. Cooldown reduced from 20s to 15s. * Cutting Slash: The bleed effect now ignores the target’s armor. * Cunning Ruse: Now lasts 20s, up from 15s. * Enrage: Updated the tooltip to indicate that its damage is a bleed effect. * Primal Lucidity: Damage has been increased. * Fury Unleashed: Its bonus effect now be multiplies up to a max of 5 times instead of 6 times. * Reverent Protection: Now applies absorption to group members with the lowest HP by percentage. The amount absorbed has been increased. * Pacification: Now causes Pacifying Strike to reduce damage taken by 1-3%. * Protector’s Fury: Now also causes Righteous Fury to reduce damage taken by 1% per stack. * Light’s Benediction: Now deals Life damage and reduces damage taken by 7%. * Unyielding Defense: Now also reduces damage taken from spells by 3-9%. * Double Jeopardy: No longer has an internal cooldown between triggers. * Swift Finesse: Now increases the damage of Flurry and Reaping Harvest by 15-30%. * Strike Like Iron: Now increases all damage by 25%, lasts 1 hour, and is no longer a finisher. * Flurry: Now deals the right amount of damage over 6s. * Crest of Consumption: No longer increases healing done by Soul Feast by 20%. Now, it increases healing received by 20%. * Binding of Shadow: Now also reduces damage taken from spells by 3%. * Power From the Masses: Now reduces damage taken by 1-5%. * Ethereal Bond: Now also reduces damage taken from spells by 1-3%. * Crest of the Shadow: Amount absorbed has been increased. * Walks with Death: Now also reduces damage taken from spells by 2-6%. * Planar Blade: Increases the damage of Riftblade attacks by 5%. Fixed a typo on the tooltip to no longer reference Rift Summon. * Rift Implosion: Updated the ability tooltip to clearly indicate what the “Implosion Surge” effect does. * Flamespear: Updated the tooltip to not include its max damage. * Scald: Enemies damaged by Icy Burst while under the effects of Fiery Burst now take 10/20/30% of Attack Power as Air Damage, down from 10/30/60% of Attack Power. * Icy Burst: Damage has been reduced. * Fiery Burst: Damage has been reduced. * Enhanced Conductivity: The debuff from Enhanced Conductivity now increases damage taken from the Warrior by 2%. * Accord of Shifting: Now also reduces damage taken from spell by 0.5% per Pact. * Unstable Void: No longer reduces damage taken from spells by 15%. Instead, it reduces damage taken by 5%. * Rift Distortion: Now also reduces damage taken from spells by 4%. * Surging Touch: Now also reduces damage taken from spells by 1-2%. * Protective Shield: Absorption from Protective Shield has been increased. * Power Shield: Fixed a tooltip error. * Surging Touch: Now also reduces damage taken from spells by 2-4%. * Relocated some floating and inaccessible artifacts. * New players in the starting zone with access to summonable Mailboxes or Personal Bankers can now use those abilities without restriction. * Players in the Terminus or Old Mathosia tutorial zones will have any outstanding quests autocompleted after leaving them. 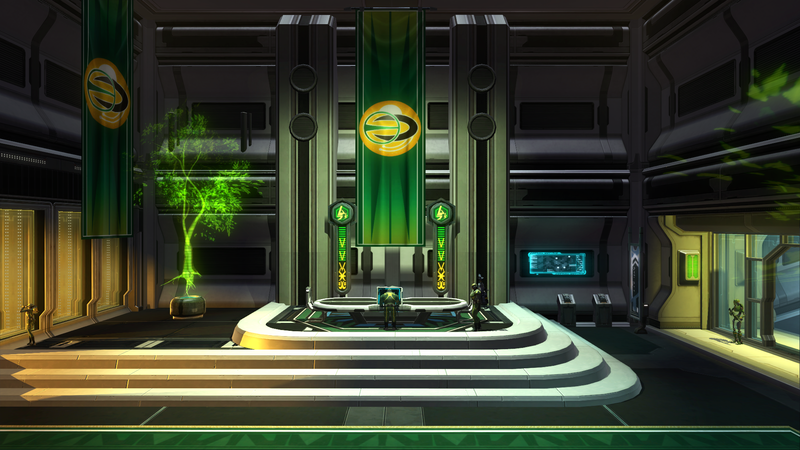 * Players can now reset their talent trees and buy new roles by speaking to class trainers in Mathosia and Terminus. * Volan Fight: Adventurers who don’t play with music on will now have a better audio experience than they had before. Additional sound effects have been added. * Tomb of the Consort: Six of the Tomb Guardians now properly path inside of the tomb. * Updated images of Porticulum locations. * Anchor Defenders will no longer chase players over great distances. * Quest: The Means of the Endless: Anchors now reset aggro at a greater distance. * Players can now use mounts in the Scriptorium. * Guardians can now find a Grandmaster Butcher trainer at Ferric Harbor alongside the other profession trainers. * Quest: Escape Artists: Players can no longer get caught in the cages. * Quest: Eye Spy: Fixed an issue where players who teleported while channeling on the Spy Droids would not be able to complete the quest without first logging out. * Quest: Great Works: Fixed an issue that could cause line of sight issues when attacking the Eye of the Worm statue. * Quest: Shuttering Production: Fixed a typo in the quest summary. * Carnage: Bone Minions: Refuse Feeders spawned by the quest Bone Minions now count towards the quest’s completion. * Shapers End: Fixed an issue allowing NPCs to get caught in the terrain. * The Mushroom Soup achievement messaging should now be more consistent. * Kira and Uriel will no longer chase Guardian players across the entire zone. * The quest reward “Adriana’s Tumbling Deflector” is now “Adriana’s Enduring Clasp” and will occasionally proc a Heal Over Time effect on hit instead of reducing fall damage. * IA: Reduced Norelth’s damage across most of his abilities. * Zone Event: Secrets of the Deep: Should now be more forgiving about passing out rewards. * Valley of Bones: Added a short quest line to this area. * Quest: Lord of the Fae: Fixed an issue that would sometimes cause Makirn to not respawn properly. * Added a Carnage quest to Silverpaw at Point Solitude. * Vespid Hives no longer instantly heal when attacked by players more than 30m away. * Quest: Digging Up Weeds: The quest giving object no longer sparkles deceptively for players that have completed or are currently completing this quest. * Erford Deeprock in Quicksilver College is now much less likely to abandon his post and go missing. * Removed a Mirror Conspirator out of a rock at Mirror of Ages. * Dolan Ashwalker at Argent Glade will no longer instantly respawn. * Zone Event: Infernal Awakening: Now displays friendly beacons on the map again. * Zone Event: Champions of the Firestorm: There is now a 25 second charging period when players acquire Planar Rifles. * Zone Event: Fortress Defense: General Blythe will no longer become unattackable. * The “Night Terrors” will now always contribute to the achievement Stillmoor Defender. * The Expert Dungeon Daily now gives 783,000 Alternate Advancement XP. * Endless Eclipse: Audio updates to Regulos & Zareph’s encounter, including ability and ambiance. * Frozen Tempest: Gelidra can no longer be slain while Amrian is alive. * Tower of the Shattered: Expert: Fixed an issue that prevented General Thunderscar’s lightning beams from appearing after he cast Fury of the Thunder. * Library of the Runemaster: Defiants should no longer be facing the wall when taking the teleport down. 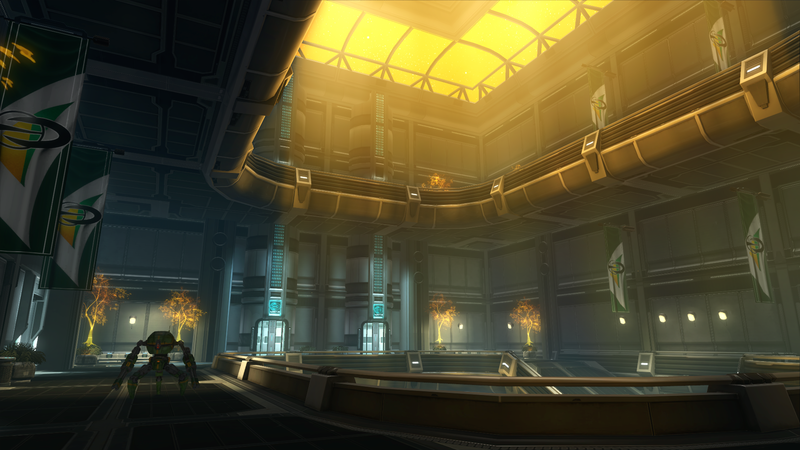 * Conquest: Increased the distance at which Extractors may be engaged in melee combat. * You can now preview the item that will be crafted from recipes! * All dungeon-dropped recipes can now be sold to a vendor. * All high-skill level runes now highlight the equipment that they can enchant. * Armorsmith: Comfortable, Thick, Heavy, Medium and Thin Padding now reduces the time to mount by 10, 8, 6, 4, and 2% respectively. * Fishing: The Twisted Lure now fishes up twisted artifacts in Brevane and Dusken. Like the Rare Fish Lure, it will not work in Tempest Bay, which has neither rare fish nor twisted artifacts to be lured. * Most profession-related quests will now appear under the Profession header in your Quest Log. * Lustrous runes can now be applied to items that are equip-level 60. * You can now have more than one active dimension per character. Everyone now starts with two, and you can purchase additional dimension slots. * New dimensions are available: Hailol, Temple of the Abandoned, Edge of Infinity, and Endless Eclipse! * Dimensions can now be upgraded with credits. * All dimensions now have a new tier of limits which doubles its previous maximum capacity. The cost for this new tier varies by dimension. * If you’ve ever wanted to live in a bogling hut or Shimmersand dome, now you can! Dimension objects with interiors can now be found at the new building vendor in Tempest Bay, or look in the Rift Store under Dimensions > Buildings. * There are now pre-made walls, stairs, doors, floors, roofs, and windows that you can use to build your dream mansion. You can find them under Dimensions > Building Blocks in the Rift Store, or at the vendor in Tempest Bay. * Added hundreds of new dimension items including fences, garden walls, magitech items, mushrooms that create clearings, Hailol floral trees, household items, and decorations. Browse the store to your heart’s content! * New achievements can be earned by owning dimensions and by placing a certain number of dimension items in your, your guild’s, and your friends’ dimensions. * Lock boxes: Dimension item lock boxes grant six or more dimension items including at least two items of uncommon rarity or better. * Dimension sky projectors now cover the entire dimension. * All notoriety rewards in Storm Legion have been made Bind on Account! * Many trinkets now have upgrade paths. * The stats on Pus-Proof Greaves have been corrected. * Members of the same party that are from different factions can now share feasts. * The original pre-order runes can now be applied to offhand and costume held items. * The collectible books from the starting area can now also be found in various locations in Sanctum. * Level 60 Epic Greater Essences are now more useful to a greater variety of souls. * Valmeras and Eldritch Steeds no longer have a faction requirement. * 2-Handed weapons in Storm Legion have been upgraded to inherit additional stats. * Added death sounds to a faerie model that previously had none. * The sound of snares have been improved in Morban’s Pus Swamp. * Added sounds when opening a lootable chest or bag. * Fixed an issue that prevented the intro movies from playing properly. * The exit button is now disabled in Dimensions for those who are in combat. * Dwarves should be able to preview mounts with better results now. * Overhead text will no longer become invisible when Supersampling is enabled and Fullscreen FX is disabled. * Fixed a bug that caused item names to not display correctly in the Upgrade Item UI. * Added target-centered decorator for AOE macros: /cast @gtae AOEABILITY , /use @gtae ITEMNAME. * Increased the maximum number of Macro Slots a character can have to 100.